I have a Morgan +4 with Ashley Sportiva body which was built in 1961 and shown on the Geneva Motor Show in 1962 by the Swiss Morgan Importer. Does anyone have pictures or additional info? This was news to me so I quickly fired off an email to Markus for more info. 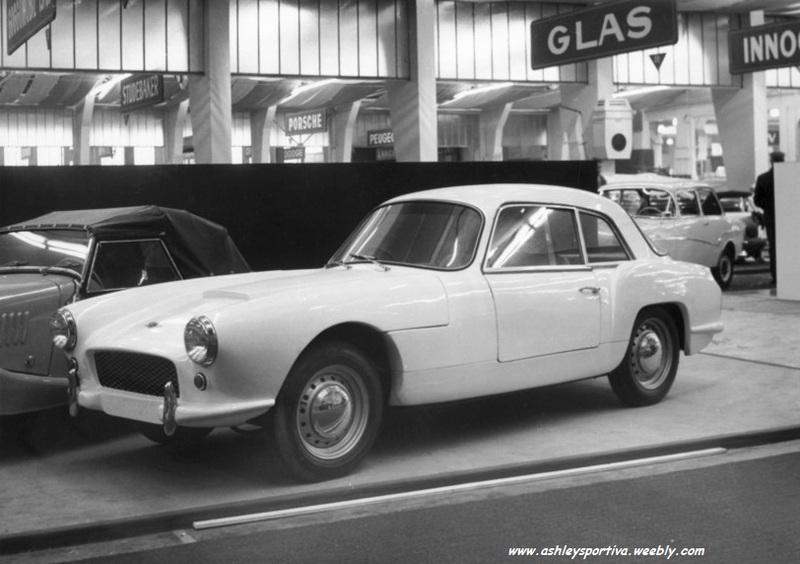 Do you know anything about an Ashley Sportiva- bodied Morgan displayed at the Geneva Show in 1962? It is said to have had the usual Morgan chassis and Triumph engine and may or may not have been an official project. At the time EB were working both with Ashley to produce a prototype for Sabra using the Sportiva body and an EB chassis, and with Morgan to produce a body for the +4+ dome-roofed coupe which came out shortly after. Any info would be appreciated! I had replied at that time that I knew nothing about it. Yes, I still own this car - it sits in my barn and waits for me to find time to restore it. In the meantime, I've found a couple of pictures in an archive from a Swiss car Newspaper. The editor of www.zwischengas.com has just featured my car with a Morgan story. If you go to zwischengas.com and type "Morgan Ashley" in the search, you'll find all the pictures available from the Geneva Motor Show and three or four of the car as it is now, sitting in my barn. Alongside, I own a Sabra GT - seemingly the lowest surviving chassis number! (Based on the Ashley 1172 body shell). This car has been in the family since 1989 - awaiting the installation of the reconditioned engine which is sitting in my workshop since about 10 years! Sadly, I just never find time for my own projects . Not exactly a secret, but still almost unknown is an attempt by the Swiss importer Morgan-OHC to provide a coupe-based Morgan. Morgan was in 1962 for the first time officially represented at the Geneva Motor Show. On the stand alongside the famous 4-cylinder roadsters was a white coupe, which was created at the initiative of Mr. Wehrlin the local Swiss Morgan importer. The Automobil Revue reporting on the Coupe in the issue 12/1962 had a photo and a brief accompanying text about the vehicle (see below), which was called the "Morgan Gran Turismo”. The English individualism has led to a highly unique creation, the small marque “Morgan” from the UK, shown in Geneva for the first time comes with a body made of glass fibre, they can be bought from England and made to order, mounted on the typical British chassis. On the basis of an elderly four-seater chassis of a Morgan + 4 with Triumph Motor from 1954, Mr. Wehrlin had built a compact coupé and was exactly the car which his customers had called for again and again. 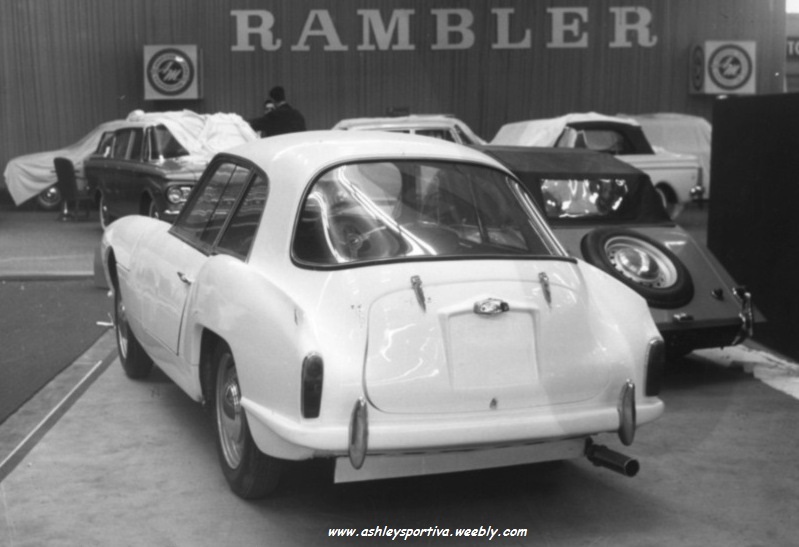 The body came from UK glass fibre specialist Ashley Laminates Ltd.
Ashley bodies were designed originally been placed on old Ford Popular or Prefect chassis to create contemporary looking sports car. Ashley, however, went so far as to offer its own chassis, supplemented by Ford components. They were even used as the basis for Sabra Sports Cars (an Israel company), mounted on a chassis by Bellamy and for the UK based Reliant Sabre and Sabre Six. Wehrlin had visited the Birmingham Motor Show in 1960 and found that an Ashley body would fit the dimensions of a Morgan chassis. So he went to England again, bought an Ashley Sportiva fibre glass body shell and transported it on the roof of his Opel station wagon back to Switzerland. The acquired body was mounted on the chassis and the car completed with contemporary add-on parts and the coupé was finished. Little pleased the patron of the sports car manufacturer Morgan, was "not amused" you would write today. Peter Morgan had the surprise as he knew nothing about the Coupé, such was his surprise to see it on the official Morgan stand that he threatened Wehrlin that this would cost the Swiss importer his import rights, unless the car was broken down into it’s component parts as compensation. Only when Wehrlin could confirm to Peter Morgan that the car was completely disassembled into its component parts for use in the spare parts store, was the church back in the house. Wehrlin could keep the Morgan representation and was also more successful with it. What Wehrlin had concealed was the fact that he had kept the pieces for rebuilding when nothing stood in the way. The ingredients, however, rested for over 40 years in the warehouse of Morgan-OHC, until he could find a new owner to complete chassis, bodywork and all of the components to rebuild the Morgan Ashley Coupé. 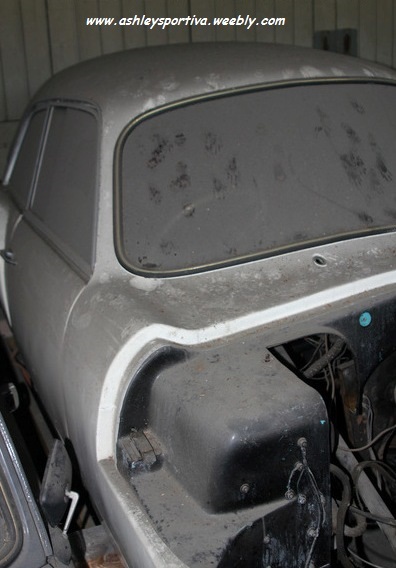 The new owner, the Classic Car Connection AG in Lichtensteig, plans in due course the restoration of the unsaleable vehicle and thus the restoration of an important piece of Swiss auto memorabilia. It is not ready yet and there are probably a few more years until the unloved child of the Morgan family, roll’s back to its former glory under its own power on Swiss roads again. 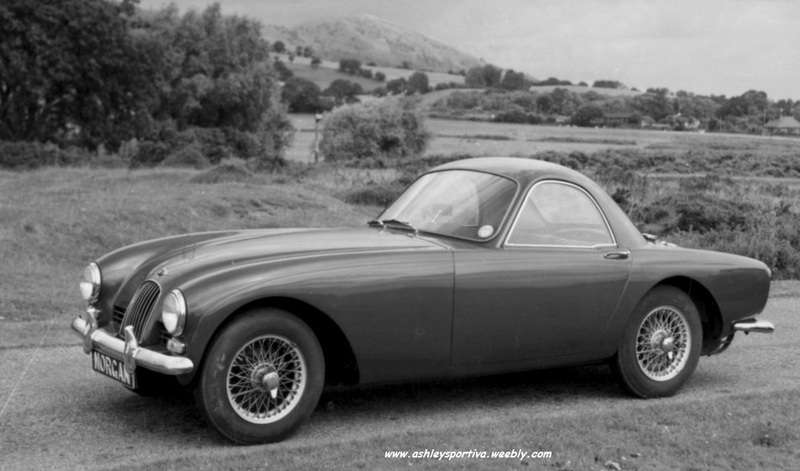 A year later Peter Morgan then developed his own version of the coupé, but only for two people, this also had a glass fibre body, which was overall probably a little prettier than the Ashley version of Morgan-OHC. Due to the additional weight of the coupé body and to make up engine power again, a Judson supercharger was mounted to the engine - thus the extra power generated was certainly enough to compensate for the loss of sportiness of the Roadster. My thanks to Bruno von Rotz (The editor of www.zwischengas.com) for use of the article from the internet. Also to Markus Tanner (Present owner) for supplying the additional information and pictures as shown below and for giving me permission to reproduce on my website. Yes, I still own this car - it sits in my barn and waits for me to find time to restore it. The Morgan +4 Ashley is based on a Morgan +4 chassis and mechanics from 1954. 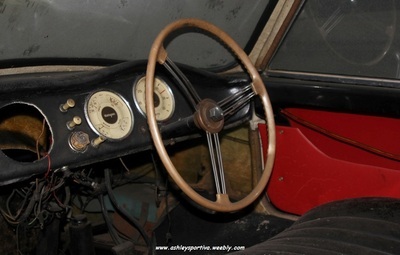 The ‘54 + 4 had the Triumph TR3 engine and Moss gearbox, the rear axle is Salisbury. It is absolutely certain that the car was presented on the 1962 Geneva Motor Show - without the Morgan factory knowing that Morgan as a maker took place in this show! Peter Morgan I was told was not amused and told the Swiss Morgan importer to dismantle or scrap the car! Mr. Wehrlin, the builder, decided to take it apart, but stored it in a barn. Morgan was told it had been broken up for spares. Wehrlin told me that he pushed Morgan for years to build a proper 2+2 with a fixed roof for customers to use in winter - Peter Morgan refused to do so. This is why the Ashley was built and he based it on a Morgan because he was looking for a Morgan winter car his customers could buy! The interest in this car was huge in Geneva and might be why Peter Morgan instantly began to develop his own - the Plus Four Plus - which failed to attract buyers. Wehrlin for example said that he'd only bought them from Peter (he called him just "Peter" all the time) to do him a favour. To cope with the increased weight of the Coupé body, they had fitted a Judson supercharger to the engine - it ended up being a lot faster than any Morgan from the production line! And guess what - I got the charger with the rest of the parts. It came with original fitting instructions! A standard TR3 engine produced about 100hp - a Judson charger was advertised to add up to 40% on top of that. 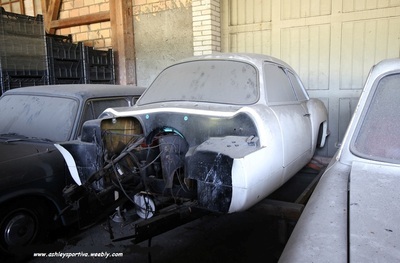 I will start the restoration as soon as I can. The following 3 pictures show the Morgan +4 Ashley as it is stored today awaiting restoration and reassembly of what must be the most unusual Ashley Sportiva story ever. If anyone knows more about this car or has pictures from 1962 Geneva Motor Show showing the car I would be very pleased to hear from you.